Geared for adults with some dance experience who want to brush up on skills, prepare for auditions and/or just want to get great conditioning, and learn fun choreography. 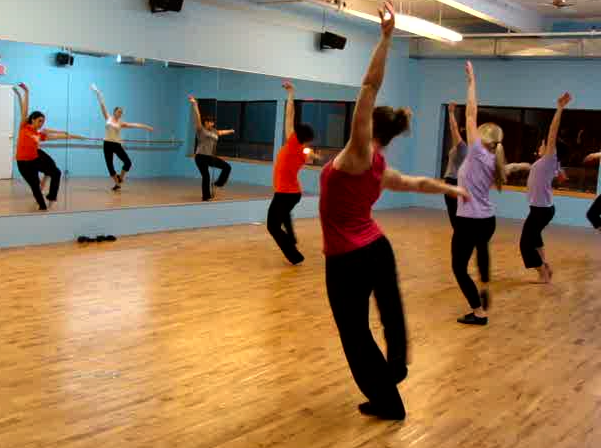 Each class will focus on different dance disciplines including contemporary, ballet, ballroom, jazz and hip hop taught with varying skills levels. These classes are judgement-free, so leave any worries at the door and be prepared to just dance for an hour! Clothing: Appropriate dance attire such as yoga pants, sweats, T-shirt, tank top, etc. Shoes: Dance shoes or half shoe/bear paws/claws, socks or bare feet. Athletic shoes for hip hop. $30 for an 10 class punch card. Unused punches can be carried over to future sessions. Just purchase a new punch card when yours is full. Cards distributed on your first day of class.